Self Lender Reviews and Complaints 2019: Is It Legit? Self Lender Review: Is It Good? Self Lender promises to help you build credit. But is it legit? Read this review to learn how it works. If you don't have a credit history, creditors probably won't give you a chance. How can you build credit without someone giving you a break? Enter Self Lender - a credit monitoring and credit building system that helps people with low or damaged credit increase their credit score. Apply for a Credit Builder Account at Self Lender Now! Read on to see if Self Lender might be the right service for you. Self Lender is a free credit monitoring system. But they also offer credit building loans. This is where they make their money. Self Lender's credit monitoring service gives you on-demand access to your credit score. It gives you access to your credit history at all times. Self Lender also offers suggestions on how to improve your credit. They provide all of this free of cost. However, the credit building loan is the real meat and potatoes of Self Lender. They provide loans regardless of your credit score. The main purpose of the loan is to build or improve a low credit score. In other words, they give you a chance no matter how many other lenders turned you down. The Self Lender loan isn't your typical loan. Think of it like a loan in reverse. You don't receive the proceeds from the loan upfront. Instead, it's placed in a Certificate of Deposit for you. The maturity date equals the term of the loan. You then make payments over the course of the term of the loan (12 to 24 months). Your payments are both principal and interest. At the end of the term, the CD matures. You receive the principal, plus the small amount of interest it gained during that time. As you make payments, Self Lender reports them to Experian, Equifax, and TransUnion. If you make your payments on time, this will help build up your credit score. 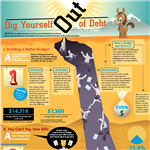 Learn how to build credit while building savings at Self Lender! Some people think of it like a forced savings program. In order to receive the savings, you have to make timely loan payments. At the end of the term, you will receive the principal amount paid for the loan. Who Benefits from Self Lender? Self Lender is ideal for people who have little to no credit. If you've ever tried to apply for credit only to be turned down because you don't have any credit, you are a good candidate. How are you supposed to prove you are credit worthy if no one will extend credit? This is where Self Lender helps the most. They don't pull your credit to determine eligibility. It can also be a good option for those with damaged credit. With a poor credit history, many creditors will turn you down for new credit. 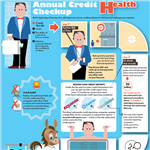 Without new credit, it's nearly impossible to rectify your score. Self Lender can help by providing you with the credit building loan. To start building credit with a savings account, check out Self Lender. Start building your credit with Self Lender! Once you provide this information, Self Lender runs a check on ChexSystems. Similar to running your credit, this system checks your bank account history. This keeps an eye on how you treat your bank accounts. They look for overdrafts and bad checks. However, unless you let your overdrafts sit unpaid, you should be in good shape. You then enter your payment information. You can use a checking account or debit card. However, using a debit card will cost you an additional 2.99% plus $0.30 as a convenience fee. Using your checking account is best. Self Lender also charges a small administrative fee based on your loan amount. It varies between $9 and $15. The fee is non-refundable, but is a one-time fee. The moment you take out the Credit Builder Loan, you have a FDIC-insured Certificate of Deposit opened in your name. Like any other CD, you cannot touch the money until it reaches maturity. In this case, it's 12 or 24 months. The bank deposits the full amount in the CD, allowing it to earn 0.10% interest over the next 12-24 months. While the interest is really peanuts, the real benefit lies in the payments you make towards the loan. As long as you make each loan payment on time, Self Lender reports the timely payments to the credit bureaus. 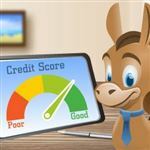 According to Self Lender, on average clients with the standard $1,100 loan and timely payments see their credit score increase as much as 45 points in just 6 months. This only works, however, if all aspects of your credit are in line. For example, if you have a credit card with another company that you let default, your credit score will fall. This is independent of what the Credit Builder loan can do for you. It's up to you how you handle all aspects of your credit profile. Tip: It's best if you do not pay the Credit Builder Loan early. The main benefit is the timely payments reported to the credit bureau. If you pay it off early, you negate the benefits of the loan. Plus, you cannot touch the CD until maturity or you risk paying a penalty. Start building credit with no hard credit pull at Self Lender! As with any financial product, there are pros and cons of Self Lender. All payments are reported to the credit bureau to help you build a credit profile. You have a "forced" savings account. You don't need a credit check to get approved. The upfront administrative fee is affordable. The interest rate is often less than that of a credit card. An installment loan may diversify your credit mix, which further helps your credit score. If you have a negative history with bank accounts, you may not qualify. Late payments are reported to the credit bureaus and could damage your credit. It costs you 5% per monthly payment if you miss the grace period of 15 days. The interest earned on the CD is next to nothing. You have to pay to take out the loan versus other free ways to build credit. Self Lender isn't the only way consumers with thin or damaged credit can build credit. 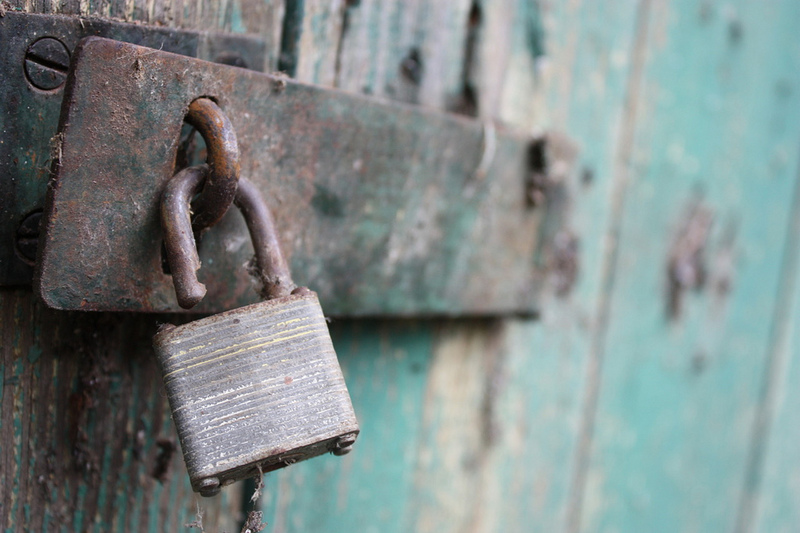 Secured credit card: This option isn't free upfront, but it can be if handled correctly. Your credit line equals your deposit. You can find secured credit cards that require as little as $200 deposited. If you pay the balance off each month, you don't pay any interest. You can also get your deposit back if you upgrade or close your account. Co-signer on a loan: If you have a willing co-signer for a loan, you may be able to get approved for a standard credit card or installment loan. Authorized user: Ask to become an authorized user on a parent, sibling, or other close relative's credit card. Make sure you ask the credit card company beforehand if they report payment history for authorized users, though. Bad credit? Start building credit with Self Lender now! If you've exhausted all other "free" options to build credit, Self Lender can be helpful. If you don't have anyone who can co-sign a loan or make you an authorized user, you have two options: a secured credit card or Self Lender. If you don't have the money to open a secured credit card, Self Lender may offer the lower cost way to build your credit. Make sure before you take this option that you can afford the monthly payments. Paying for a loan that you will only pay late will damage your credit score and cost you money. When taken responsibly, though, the service can help you improve your score in a short amount of time.